JCR - Prato Erboso S.r.l. Flow rate up to 55 l/min (3.3 m3/h). Head up to 31 m. Motor 0.37 Kw (0.50 HP). Flow rate up to 55 l/min (3.3 m3/h). Head up to 36 m. Motor 0.50 Kw (0.70 HP). Flow rate up to 55 l/min (3.3 m3/h). Head up to 43 m. Motor 0.60 Kw (0.85 HP). 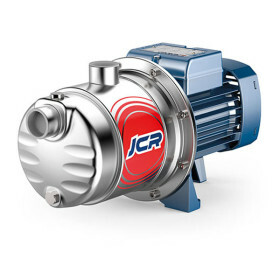 Flow rate up to 70 l/min (4.2 m3/h). Head up to 50 m. Motor 0.75 Kw (1 HP). Flow rate up to 85 l/min (5.1 m3/h). Head up to 36 m. Motor 0.75 Kw (1 HP). Flow rate up to 70 l/min (3.3 m3/h). Head up to 55 m. Motor 0.90 Kw (1.25 HP). 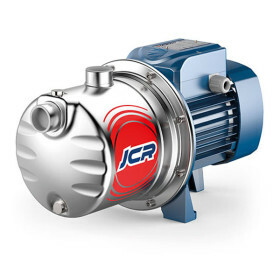 Flow rate up to 70 l/min (4.2 m3/h). Head up to 55 m. Motor 0.90 Kw (1.25 HP).